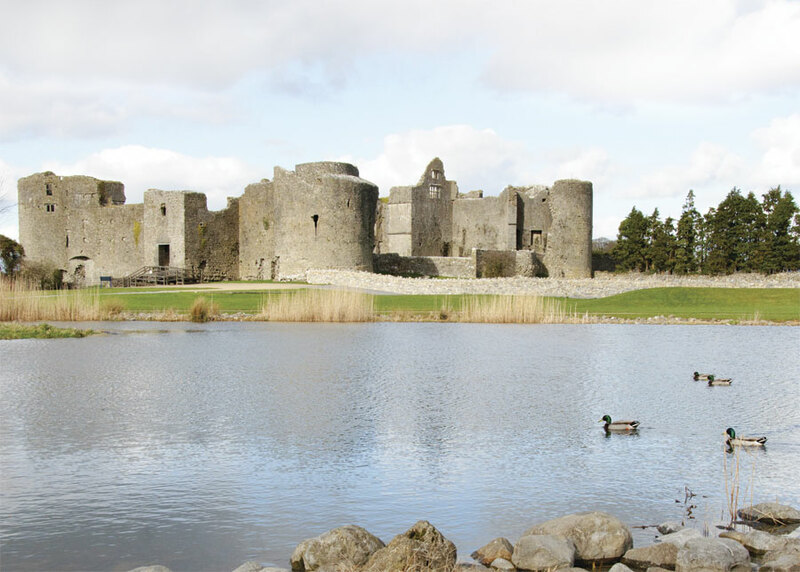 Roscommon County Council, the primary body of local government in Ireland’s ninth-largest county, serving 64,000 people, turned to GIS to surmount these challenges. In 2013, Roscommon purchased a license for the ArcGIS platform and discovered a ready-to-use template for publishing open data: ArcGIS Open Data. The council’s GIS officer, Barry Doyle, used this ArcGIS Online template to develop a brand-new channel for delivering open data. As a subscription-based cloud service, ArcGIS Online requires no hardware infrastructure, no on-site data storage, and no system maintenance. So it was quick and inexpensive for Doyle to launch the new approach. With ArcGIS Online, Roscommon County Council now has a simple means of publishing data in numerous standard formats, such as Microsoft Excel spreadsheets or Esri shapefiles, or via APIs—making it easy for anyone to access. This allows an array of organizations and individuals to support local businesses, sustain community groups, and stimulate the local economy using the council’s open data. What’s more, the council achieved its open data objectives cost-effectively, using minimal internal resources. 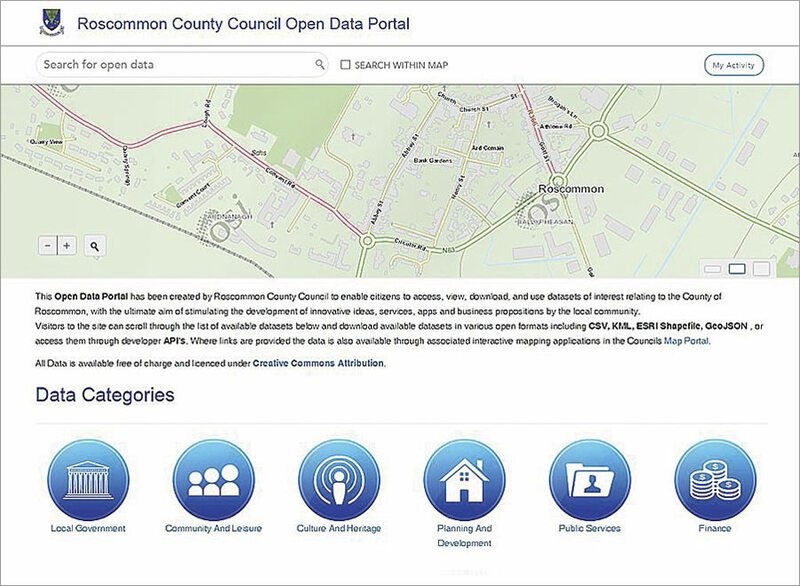 The Open Data Portal also saves Roscommon County Council time in retrieving and responding to requests for information. People can now go to the council’s Open Data Portal directly to find the information they need. Doyle estimates that he and his coworkers reclaim a week or two per year now that they don’t have to respond to so many information requests. For more information, email Roscommon County Council’s GIS manager, Barry Doyle.